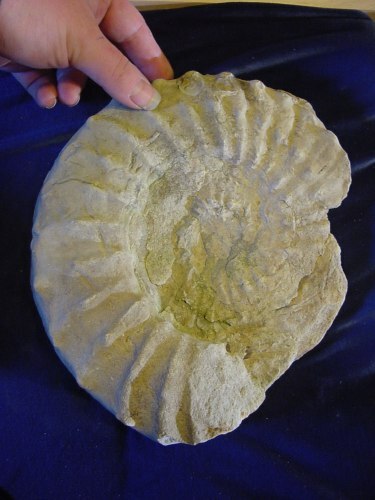 This beautiful fossil ammonite even has some of the tentacles preserved in fossil form – very rare! show us the creator – they show us many facets of His character. Our Creator is an amazing artist, AND an amazing engineer! If we were to cut open the shell, we would see that it is composed of a series of chambers with a tube called a siphuncle running through the center. I have built numerous robotic submarines over the years. When you build a submarine, you try your hardest to make the submarine weigh exactly the same amount as the water it’s in. This way, it doesn’t float, nor does it sink, and you spend all of your energy efficiently, trying to get around underwater instead of trying to stay down or stay up. Modern day submarines do this with buoyancy tanks – special tanks the submariners can fill with water or fill with air, until the weight of the submarine is perfectly balanced to the water! The tanks must be round and solid, in order to withstand the pressures and not change size under the varying pressures. 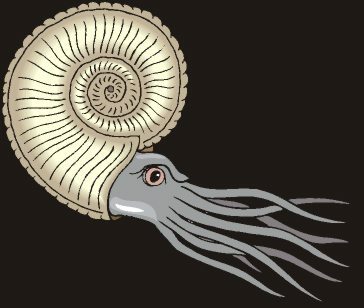 Well, our creator being the incredible engineer that He is, designed our ammonites with buoyancy tanks! You’ll notice first of all that the chambers all have spherical walls. This is important, as these are literally pressure chambers and spheres are the strongest shape to hold pressure! They are also solid – made of the same material the shell is. Just like you are able to absorb and release gases from your blood to the air in your lungs, the ammonites were able to absorb and release gases, through their blood in the siphuncle, into the chambers! They can also transfer water from their blood to the chambers! A brilliant example of incredible engineering, paying attention to even the most minute detail. With this same meticulous attention to detail that our Creator used in His creation, he came and visited earth, fulfilling over 450 specific prophecies.